The Festive Season is a time of reflection, but also a time for good cheer and a time for friends and family, during a very special time of the year! 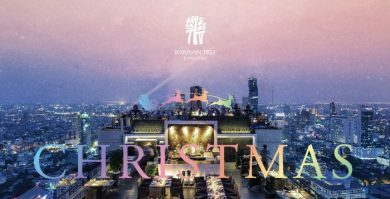 Banyan Tree Bangkok has once again designed a rainbow of spectacular activities and diverse international flavors for you, your loved ones and friends to choose from to ensure your Christmas and New Year celebrations are nothing short of memorable. Celebrate in style! 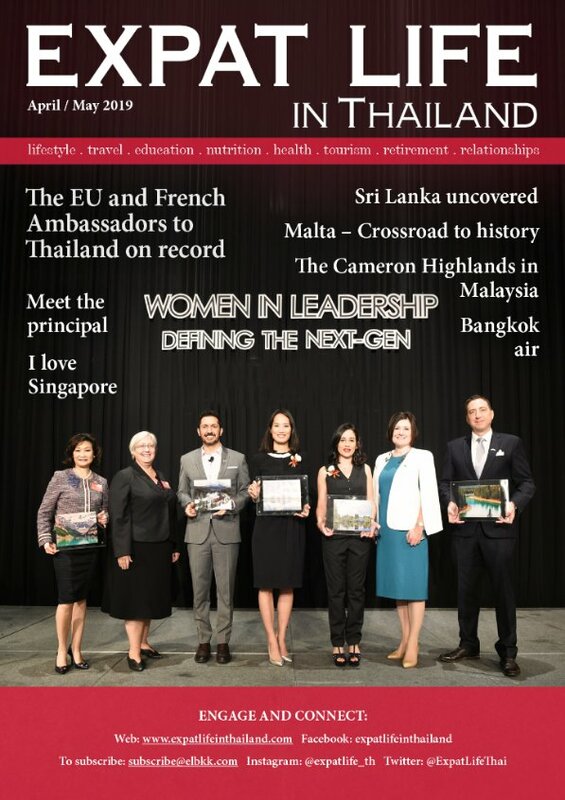 Make Banyan Tree Bangkok your Holiday Season destination, this year. The holiday spirit, romance and breathtaking views of the city come together this Christmas for an unmatched celebration of a time-honoured tradition. 4-course Yuletide set dinner inclusive of a glass of sparkling wine at THB 5,800net. Enjoy a unique Cantonese Christmas in a cozy and convivial setting overlooking the skyline of Bangkok. Special unlimited Christmas dim sum lunch at THB 1,900net. An extravagant buffet featuring all the favourite trimmings of the season awaits you at Romsai. Rediscover the pleasures of a traditional Christmas celebration, and let Santa surprise your tiny tots with enticing presents. Christmas Eve: Dinner buffet at THB 3,000net. Christmas Day: Brunch buffet inclusive of free-flow sparkling wine at THB 3,200net. Dinner buffet at THB 3,000net. For a peaceful festive celebration, nothing beats the serene atmosphere and surroundings of Apsara while sailing the majestic “River of Kings”. A true celebration of the Christmas spirit and a cherish occasion to be long remembered. Royal Thai set dinner inclusive of welcome drink at THB 4,500net. A night of glamour, live band and DJ, exciting live performances and front row seats for unobstructed views of the fireworks extravaganza that will magically light up the city’s skyline at midnight; all accompanied by a 7-course gourmet dinner, await you at Vertigo this New Year’s Eve. 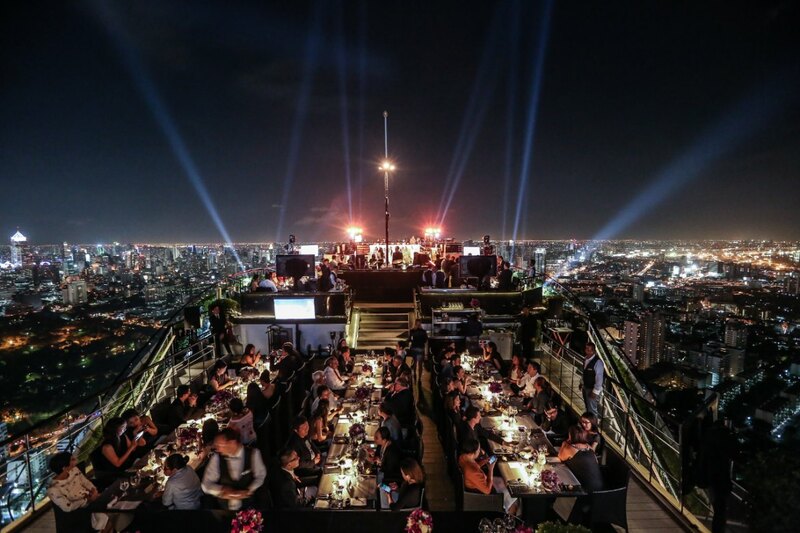 Indulge your senses at Bai Yun this New Year’s Eve, and usher in 2019 with a delightful 7- course set dinner and live entertainment, surrounded by floor-to-ceiling windows giving you a bird’s eye view of Bangkok at night spread out below. 7 course set dinner with live band and performance at THB 5,700net. In Japanese culture, the Eve of the New Year is seen as a serene time for family and friends to get together. There is no better venue than Taihei, with its tranquil and soothing yet elegant ambience, to bid farewell to 2018 and bring in the New Year with traditional Japanese dishes. New Year’s Eve set menu at THB 4,500net. 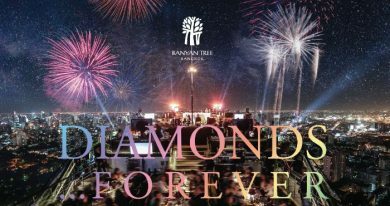 We cannot think of a better place in town to be on New Year’s Eve than our Saffron Sky Garden, Bangkok’s highest garden lounge perched on the 52 nd floor of Banyan Tree Bangkok. Dance the night away while our professional DJ will be spinning the best sounds all the way to 2018, and welcome the New Year with the amazing panoramic views of the city’s fireworks display. Allow us to indulge you and your family this New Year’s Eve with a celebration of the finest gastronomy at Romsai restaurant. Join us for an amazing culinary journey as our talented kitchen brigade will showcase the best of Banyan Tree Bangkok’s varied and award-winning cuisines on Romsai’s exciting buffet. New Year’s Eve buffet, Jazz band and kid’s entertainment at THB 4,900net. An unforgettable and enchanting dining voyage along the majestic River of Kings, awaits you on Apsara for a truly magical New Year’s Eve celebration. This traditional Thai rice barge will cruise past some of the most splendid ancient landmarks of Bangkok, while you enjoy a Royal Thai cuisine. Let us awe you away with a dinner fit for a King and the spectacular views of the harbour light up under the fireworks at midnight. Royal Thai set dinner and countdown on the cruise, live band and traditional performances at THB 9,990net. Special Unlimited Dim Sum lunch at THB 1,900net. New Year’s Day brunch buffet at THB 3,200net and dinner buffet at THB 3,000net. Royal Thai set dinner at THB 3,800net. *In the interest of all our valued guests and patrons, our restaurants observe a dress code. Please inquire with the restaurants for more details. Your Health is Your Responsibility. Take charge!